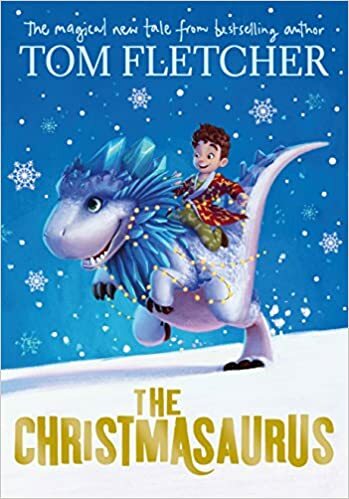 In October 2016, Tom graced the children’s book shelves with The Christmasaurus, the story of William Trundle, a young boy who was mostly obsessed with dinosaurs. William wanted nothing more than a dinosaur for Christmas, so Santa obviously delivered. William, Williams father, Santa, the singing Elves and The Christmasaurus take part in a wild adventure, circling around Christmas, snow and plenty of crumpets! There is no end to the magic and joy in this winter themed novel, not just for children, but there are plenty of things to keep adults entertained too (including a few well timed Starbucks jokes). I read this story when it first got released (HERE is my post about the signing) and i can honestly say that i really did enjoy it. After absolutely adoring Tom’s writing style in his songs for years, i figured that his novel writing would be up to the same standard. He effortless shows off sheer talent when writing, it seems to come completely naturally to him. You can tell he has a great passion and knowledge for what he’s writing about, which always makes a more entertaining and insightful story. One thing Tom has admitted to his having a little help with the research for his story. William Trundle is a young wheelchair user, and Tom wanted to make sure his story was told in the correct way. He enlisted the help of charity ‘Whizz-Kids‘ to help him tell the tale of such a diverse character for a childrens novel. Whether you’re buying The Christasaurus for family, friends, children or whoever, i can imagine it will be loved by many. There is no better time of the year than Christmas to have a little childish fun, singing elves and Christmas dinosaurs and all! To top it off, The Christmasaurus is a great diverse novel to introduce children to all different kinds of people. If you want to go all out with the festive dinosaur fun, make sure you keep an eye out for developments of The Christmasaurus: The Movie and The Christmasaurus Live On Stage. Tickets are available now for performances on the 22nd and 23rd of December 2017. I’m about half way through at the moment and I love it! I held off reading it since I bought it with you, because I wanted to read it closer to Christmas. I can’t wait to see how it ends!